Flicks From The Past! - Why is there a constant need for remakes? Home > Features > Why is there a constant need for remakes? Why is there a constant need for remakes? In the 2000s there has been a lot of remakes made. I would ask why? Why does everyone need to remake a film that has been made sometimes in a perfect way? Hollywood seems to have this obsession with re-making films that were done perfectly in the first place. This usually guarantees that the re-make will never be as good as the original. A film called 'The Longest Yard' is a perfect example. In 1974, a film called 'The Longest Yard' was released. It starred Burt Reynolds and was very successful. I personally found it a very entertaining film, certainly not Oscar worthy but a well acted and well executed film. A British remake was released in 2001 called Mean Machine (Mean Machine was what the Longest Yard was called in the UK for some strange reason). It starred Vinnie Jones. Then came 2005 and another remake released this time with Adam Sandler (why on earth?). Both of the remakes pretty much just took the original screenplay, changed some small dialogue here and there and that's it. Nothing new was brought in. In fact with the 2005 Adam Sandler version, the makers toned down the film to fit a younger demographic. The original had lots of dark moments along with a realistic approach of the story. In both remakes there are winks and nods to the original, but which would you enjoy the most? Well I would always prefer the original. Now there are times when remakes can be good. Generally I would say that the originals are generally better. It’s like when you listen to a cover of a song, if you already knew the original then chances are you will like that version better. Remakes of TV shows and old films are happening all the time. The Italian Job, the Ladykillers and the Pink Panther are just some of the most recent films to be remade. The remakes are not anywhere in the same league as the originals. Some remakes have proven to be as popular if not more than the originals. Two examples of these are the Amazing Spiderman and Nolan Dark Knight Trilogy. Starting with the Spiderman films. 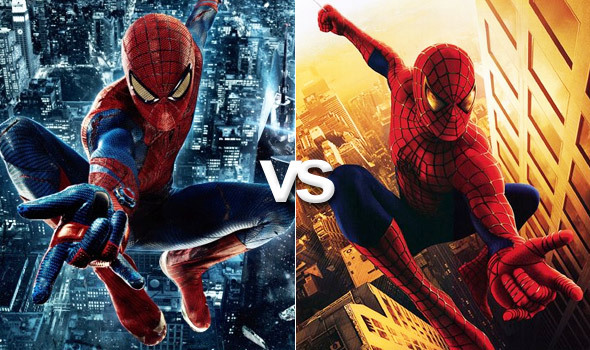 I liked both sets and I do think that the recent Mark Webb films have been very good at portraying Spiderman. He is definitely the more wisecracking and entertaining of the two. But the scene where Martin Sheen is just begging to say ‘with great power comes great responsibility’ proved it was just made too soon. That was my main problem with it, take that away and I found the films very enjoyable with an excellent cast, and decent stories. They are every way on par with the Sam Raimi films, but the real question is this though. Are the Mark Webb films really different enough from the Sam Raimi films too warrant them being remade? I don’t think they are. As I have said I liked both set of films, but the films cover such similar ground that it would be difficult to tell the difference in some places. So I would ask did we really need a remake of Spiderman, especially with another origin story? I think everyone on the planet knows the story of Spiderman by now. The same can be said about the Batman films. Tim Burton’s Batman film had a great tone and a great look. It had interesting characters and brought a new light of Batman to the mainstream. At that time most people’s exposure to Batman would be the Sixties TV series. The new film version of Batman proved very popular. 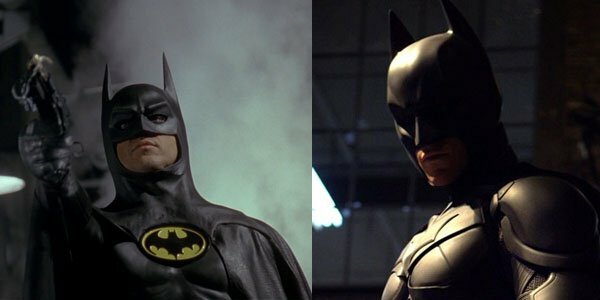 Now moving to the Nolan Batman films, like the Spiderman films, there are a lot of similarities. Again we got another origin story. Personally I think the origin story was far too detailed and explained too much about Batman. That took much of the mystery out of the character; personally I didn’t want to know in detail how Bruce Wayne became Batman. Just like in the Tim Burton version maybe we shouldn’t have seen how the Joker was created. It just seems stronger in the Nolan version. There is very much a sense of mystery. Personally I only see the point of remakes if there is something new to tell, and I don’t mean just small things like making Batman more realistic or just reworking a back-story slightly and some characters like in the recent Spiderman films. There are films ripe for remakes; these are generally ones that didn’t work. A good example is would be Tron. The first film didn’t really work, however neither did the sequel. Perhaps one-day people will just start coming up with new fresh ideas instead of rehashing ideas from the past. But I doubt it will happen anytime soon.